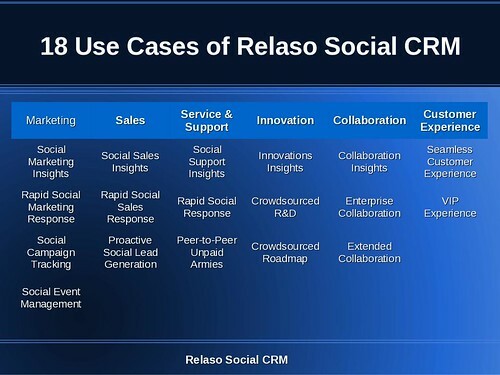 18 Use Cases of Relaso Social CRM related to Social Media for Marketing, Sales, Service & Support, Innovation, Collaboration, Customer Experience. Interestingly the whitepaper listed 17 use cases in reality. Can you find the new one?